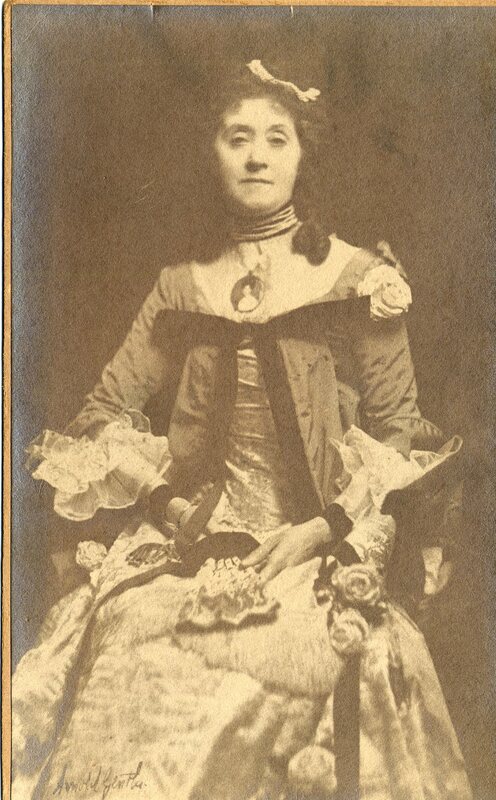 Auxiliary membership is open to all spouses, widows and lineal descendants of Pioneer members. 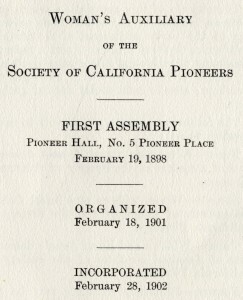 Formally organized as the Woman’s Auxiliary in 1901, membership was amended in 2010 (revised Auxiliary Bylaws). 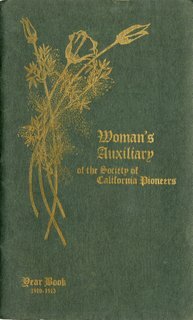 The Auxiliary’s mission is to promote interest in and knowledge about California history. 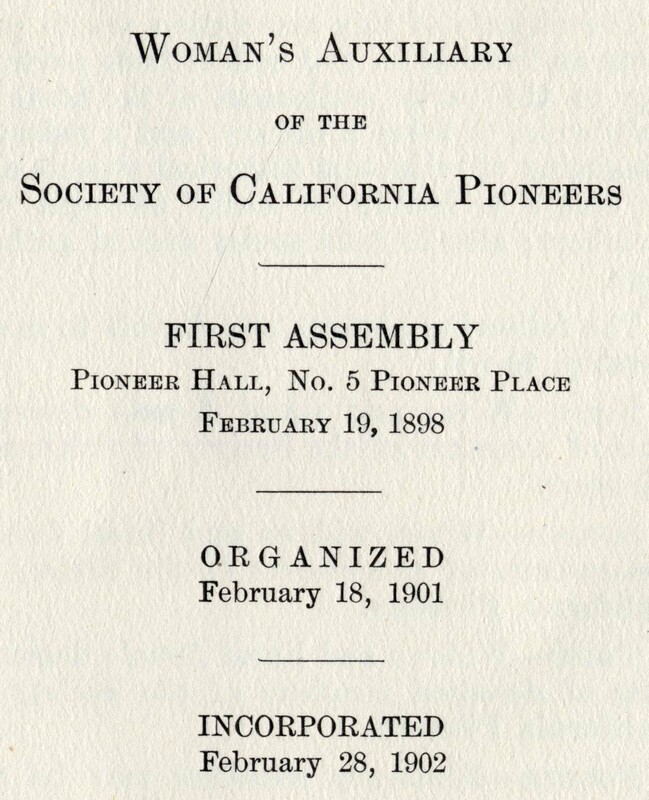 This includes the collection of facts about the settlement of California and the conservation of historical objects, pictures, artwork, manuscripts and documents for the Society’s library and museum exhibits. Another objective is to raise funds for Society conservation projects and museum exhibitions. May event with a docent tour at a California site of historical interest. To apply for membership or for additional information kindly send an email to auxiliary@californiapioneers.org. The founder of the Auxiliary, Mrs. John H. Jewett.